We were so excited to hear that Amanda + Zack’s amazing wedding was recently featured on The Knot. This was such a gorgeous event, with such amazing attention to detail, and we felt lucky to get to be a part of Amanda + Zack’s day! These two were married in a ceremony in the Tea Garden at the Vinoy in downtown St. Petersburg, followed by a reception also at the Vinoy. We loved everything about Amanda + Zack’s wedding – it was clear that so much love and preparation went into their wedding planning, so we’re super happy to see it featured on The Knot! Our Master Photographer Amy was there to document all the amazing details of Amanda + Zack’s day, and she did a stunning job. We loved every single one of the images from Amanda+ Zack’s event, and we’re so excited to have another reason to share our favorites again! 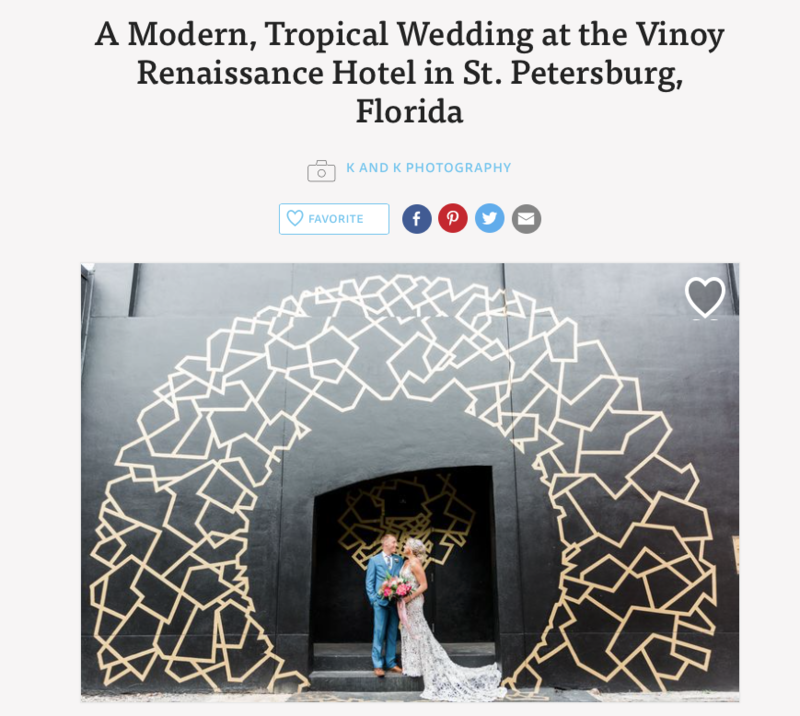 Thank you again, Amanda + Zack, for letting us share in this amazing day with you, and thank you to The Knot for featuring this gorgeous wedding!